Just because you want to, doesn’t mean you would. If you want to change how you save, try this. Habits. We all have them. And we may want to change a few — especially when it comes to your finances. 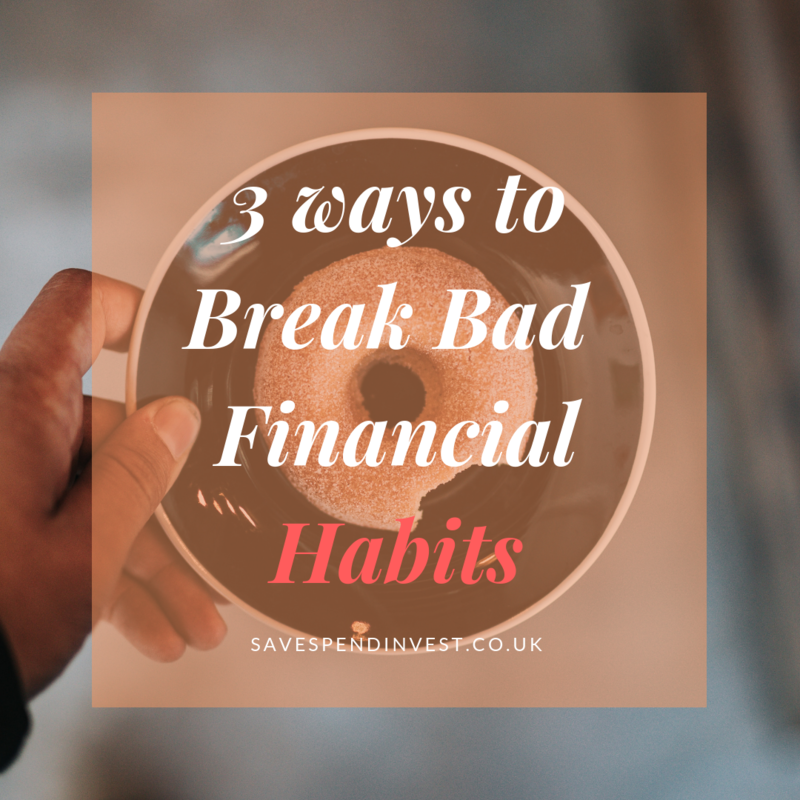 You mean well to want to save, but you can’t help nicking a tenner from your savings account when you’re out with friends, having used up all your current account balance for the month. I mean that’s what savings are for right? To save you from the woes of shame around you? Right? Wrong. The problem isn’t that you don’t know how to save or you don’t know what to save, it comes down to something more integral. You guessed it — habits. Habits make up majority of our day to day lives. From our morning routine, to what we do at work, to what we do after work when we get home, there’s a structure we tend to follow, mostly. By the same token, there are some things you do that you may not think is a habit, but it really is. For example, if you like eating out every other Friday night, that’s a habit. You do it, you’ve been doing it and it’s what you like to do. For some people, it’s coffee. They can’t go without it, and we all know how Starbucks coffee is always better than homemade coffee so that’s their early morning fix… every morning, every day. Habits. We’ve tried to tame them or control them, but they always end up sneaking up on us. So instead of telling you to not do what you want to do the most i.e. buy your Starbucks coffee each morning, let’s look at 3 ways to breaking bad habits. Replacing the habit with another: A bad habit I used to have before going to bed was having a snack. Instead of saying I was going to stop that, I replaced it with using that time to wash my face. And when I washed my face and brushed my teeth, I didn’t feel like eating anything anymore. So whenever I feel peckish right before I go to bed, I go straight to wash my face and that’s how I’ve managed to break that habit. Cutting out your triggers: Another bad habit a lot of young people struggle with is picking up their phone as soon as they wake up. We can’t help it since our alarms are on our phones, so this is an easy trigger that points us to social media at day break. To cut this bad habit, I got an alarm, and left my phone in another room or at the farthest end of my bed. So when I wake up to a real alarm and hit the snooze button a few times, I can actually go straight into the shower rather than spend time mindlessly scrolling through social media. If your bad habit is impulsive shopping, your trigger will be going to the mall. This is where real discipline comes in. I had to put a ban on myself from going into Zara. Sounds dramatic but I didn’t go anywhere near it for nearly 3 months. Know your triggers and cut them out by any means possible. Start new habits: Another bad habit I had was coming back from the gym in the evening and eating an unnecessary really heavy meal. It wasn’t done consciously, but because I had gone to the gym, I could justify eating anything after. To break this, I started going to the gym in the morning. I knew I couldn’t eat a heavy breakfast no matter how hard I tried, so I swapped my gym time and cut my calories in half. As you can see, I have a lot of bad habits, as I’m sure most of us do. However, I have broken most of them and keep finding new ways to break the really old ones. Do you have any stories about your bad habits? Or do you want to try the 3 steps above and let us know how you’re getting on? Tweet at us or mention us on your story on Instagram. Our handle on all social media channels is @savespendinvest.